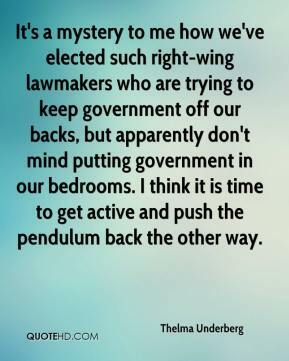 They are going to pull out every trick in the book to get themselves re-elected. 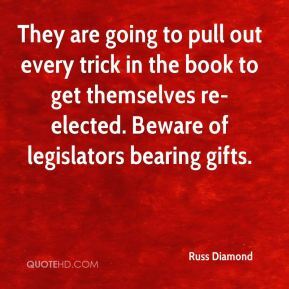 Beware of legislators bearing gifts. 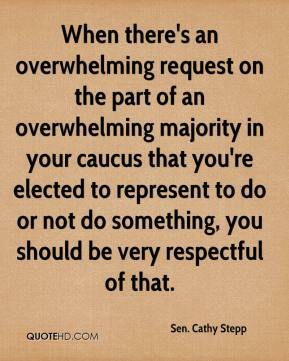 When there's an overwhelming request on the part of an overwhelming majority in your caucus that you're elected to represent to do or not do something, you should be very respectful of that. 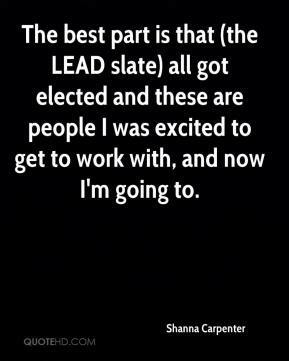 The best part is that (the LEAD slate) all got elected and these are people I was excited to get to work with, and now I'm going to. 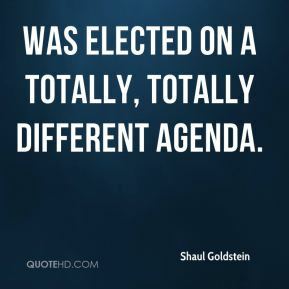 was elected on a totally, totally different agenda. Mr. Harper begins his campaign with an unequivocal statement that, if elected prime minister, he would act swiftly to roll back charter rights. 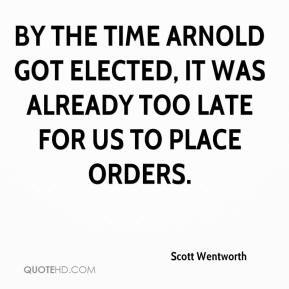 By the time Arnold got elected, it was already too late for us to place orders. I worked hard to get him elected. We came full circle together. He had a good sense of humor and he liked his cigars. He had his way of thinking, and I had my way. 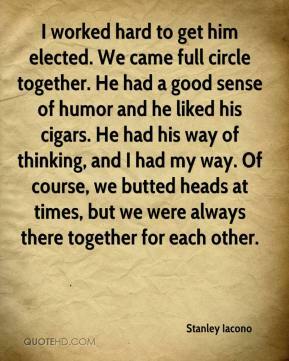 Of course, we butted heads at times, but we were always there together for each other. You've got a core group. They hate him. They're very frustrated that they weren't able to get their man elected. 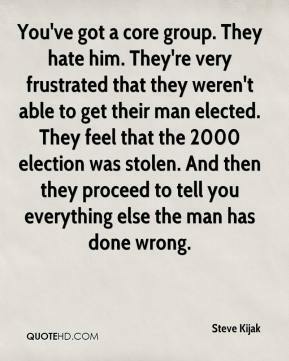 They feel that the 2000 election was stolen. 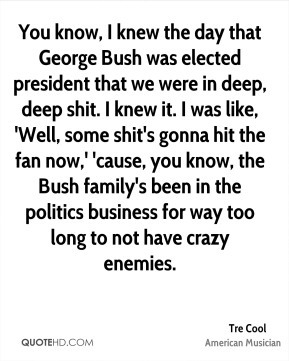 And then they proceed to tell you everything else the man has done wrong. I was a captain in the Army. I was told leaders lead. 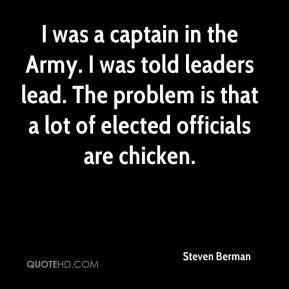 The problem is that a lot of elected officials are chicken. 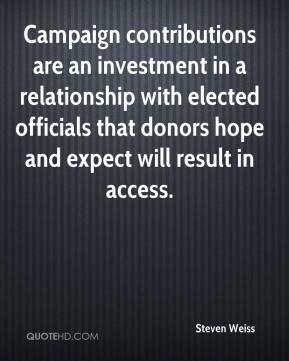 Campaign contributions are an investment in a relationship with elected officials that donors hope and expect will result in access. I think the qualifications are fine. 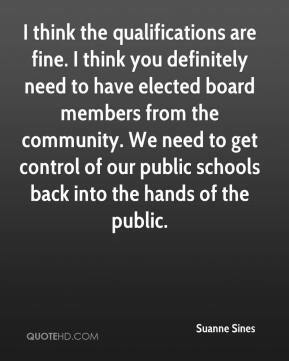 I think you definitely need to have elected board members from the community. 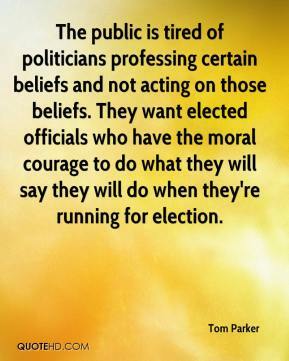 We need to get control of our public schools back into the hands of the public. 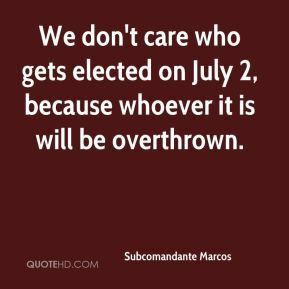 We don't care who gets elected on July 2, because whoever it is will be overthrown. The lines have to be kept open. That's how it works and works best. 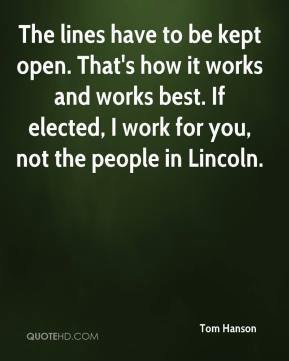 If elected, I work for you, not the people in Lincoln. 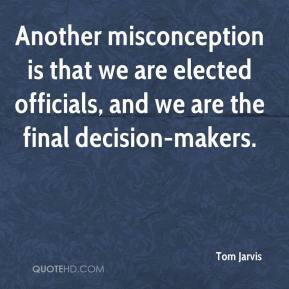 Another misconception is that we are elected officials, and we are the final decision-makers. 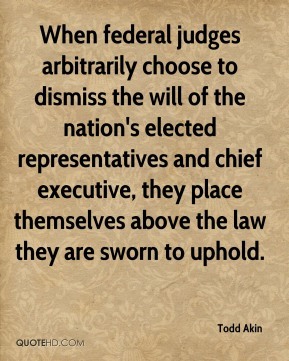 When federal judges arbitrarily choose to dismiss the will of the nation's elected representatives and chief executive, they place themselves above the law they are sworn to uphold. 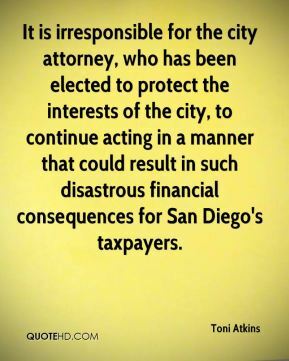 It is irresponsible for the city attorney, who has been elected to protect the interests of the city, to continue acting in a manner that could result in such disastrous financial consequences for San Diego's taxpayers. 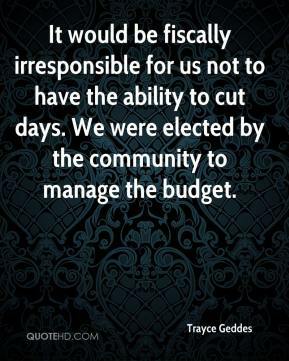 It would be fiscally irresponsible for us not to have the ability to cut days. 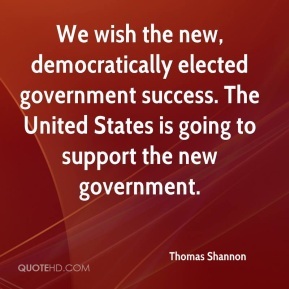 We were elected by the community to manage the budget. The intent of the legislation was never to interfere with the ability of people to interact with their elected representatives. 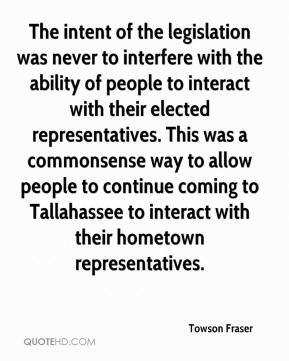 This was a commonsense way to allow people to continue coming to Tallahassee to interact with their hometown representatives. 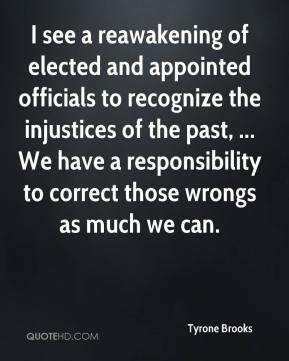 I see a reawakening of elected and appointed officials to recognize the injustices of the past, ... We have a responsibility to correct those wrongs as much we can. 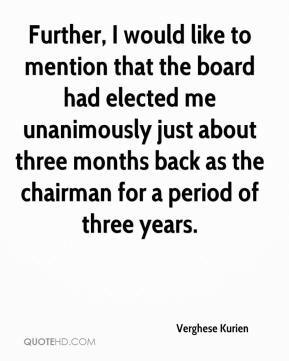 Further, I would like to mention that the board had elected me unanimously just about three months back as the chairman for a period of three years. 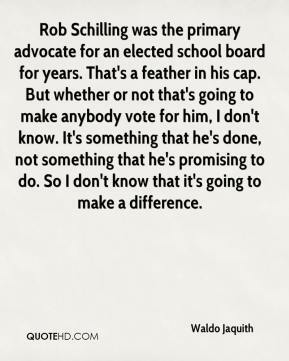 Rob Schilling was the primary advocate for an elected school board for years. That's a feather in his cap. But whether or not that's going to make anybody vote for him, I don't know. It's something that he's done, not something that he's promising to do. So I don't know that it's going to make a difference.